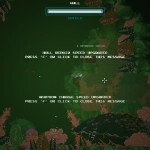 The Aquatic Adventure of the Last Human has a quite interesting story. The game doesn’t tell you the story straight away but it lets you explore it though terminals scattered around the planet. They provide some backstory and get you wondering about what happened, with most of the story being revealed at the end. Without revealing too much spoilers, it’s worth to talk about the backstory which is pretty neat. Humans were living peacefully on the planet, but due to climate change the water rose a very large amount, causing everything to flood and freeze over. Humans were now forced to live under water, where they were able to thrive and harvest energy and food. However, supplies were dwindling and an expedition was set to look for planets that could host life. You were on one of those missions, and when you return back to earth after thousands of years, but you find nothing but destruction and danger. 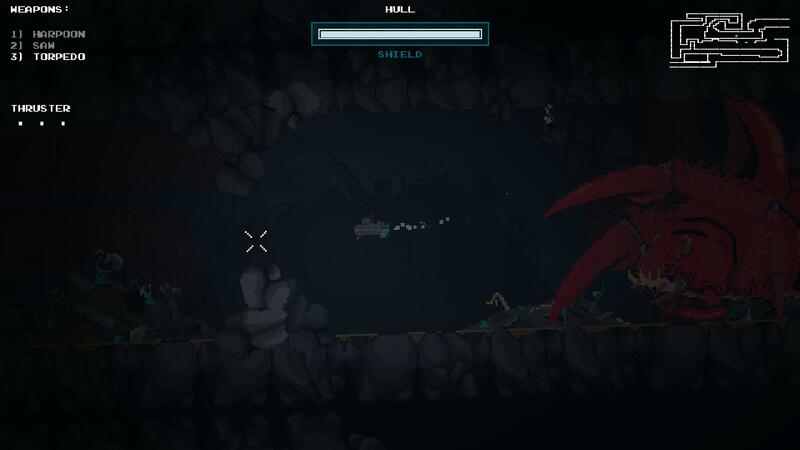 The graphics in The Aquatic Adventure of the Last Human are gorgeous. It’s not your very detailed graphics you’re used to from AAA games, but this game is mostly pixel art, and it’s extremely good. Every time you enter a new area you’ll see new elements and you’ll have to take a moment to take it all in. There’s also loads of scenery which is added, that can be easily overlooked, but it’s this level of detail and random scenery that make a game really fun to explore. As expected, the game doesn’t really require a good PC at all, but sometimes the game did have massive random FPS drops to as low as 15 FPS, which were only solvable by tabbing out and back in. This is probably an issue with tabbing out and in a lot, and most people will probably never experience this glitch. When it comes to sound, the game scores pretty good as well. There’s quite a bit of different soundtracks which differentiate different types of areas. Every boss also has its own sound track which is very pleasant to listen to. Sound effects are well done too, with lots of different actions triggering a range of sounds. Bosses also have awesome sounds, which is always pleasant to hear. 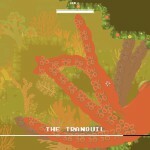 The gameplay is quite simple at the start, but gets more complex as you go on. 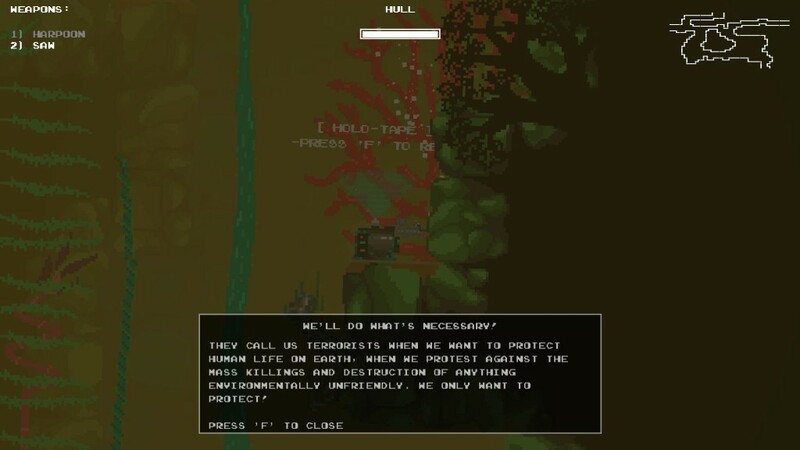 The Aquatic Adventure of the Last Human is an action adventure game, and it’s pretty much the perfect genre to describe the game. A lot of the time you’ll be exploring, looking what areas you can go to and where all of the bosses are, and of course there’s the boss fights themselves which feature (mostly) fast-paced action. The game is perfectly playable with mouse and keyboard, and even feels a little bit weird with a controller since you can’t control your weapon that well. At the start of the game you’ll have no weapons at all and you’ll rely on your exploratory skills to find the first weapon: the lower harpoon. This is simply a harpoon which can be charged up and fired in a 180° angle below you. Charging up the harpoon will give it further range, which is quite obvious. In total, there are three damage dealing weapons and two support weapons. Most of them are acquired by killing bosses and will allow you to progress further in the game. Most of the areas you’ll go through will have an element that you can’t progress through yet in the early stages without the right weapon. This is where one of the fun and frustrating parts of the game comes in play: remembering where you’ve gone and what path leads to where. You have a map at your disposal, but it doesn’t really show how to get from one area to another. This is what leads to the most frustrating part of the game: backtracking. A lot of the time you’ll simply be wandering around looking for options as to where you can go next, which can be quite tiring if you can’t find the right way. Which brings us to the second game element: action. Most areas (especially early on) have a few kinds of traps which can damage you, and if you die you’ll respawn at the closest safe point. However, it’s not just static traps that can kill you, but there’s also all out boss fights which can be very challenging if you don’t know what to do. A lot of the bosses will require you to learn them, analyzing what they do and reacting accordingly. However, there’s also some very easy bosses which will relieve a lot of players. Upgrades for your ship can also be found around the planet. 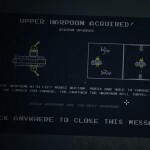 You can find things like hull (health) upgrades, harpoon charge speed upgrade and some more passive ones. These upgrades will be vital to your progress and definitely help a lot. But again, you’ll have to backtrack a lot to get back to the earlier areas that were blocked off once you get a new weapon that can deal the blockage. The Aquatic Adventure of the Last Human was a fun adventure from start to finish. 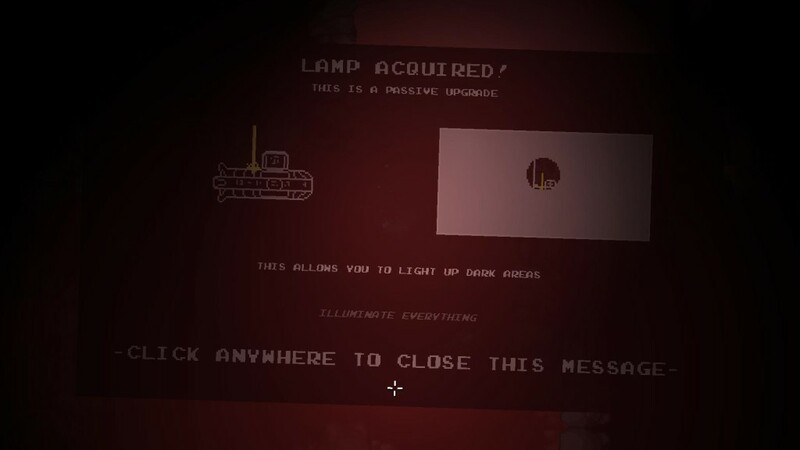 The game features great exploration, a lot of hidden elements and subtle story hints. It also has excellent boss battles and mechanics. However, the only downside are the map and the backtracking, which go hand in hand. Because of the bad map, you’ll have to remember most areas you’ve been to in order to go back to them once you get a new weapon, which can be very tiring if you can’t remember it all.